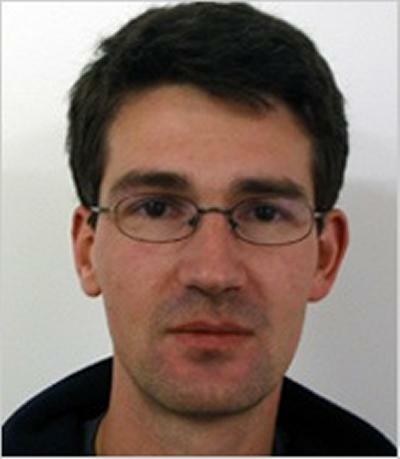 Dr Markus Brede is part of the Institute for Life Sciences at the University of Southampton. After gaining a "diploma" (equivalent to a master's degree) in theoretical physics I completed a PhD on network models of the immune system at the University of Leipzig. I then spent the next 8 years in Australia, initially working as a postdoctoral fellow and later as a research scientist for CSIRO's Centre for Complex Systems Science. My work there was focused on socio-economic models (attempting to understand the use of renewable and finite resources via approaches from evolutionary game theory), network models (with an emphasis on understanding the role of spatial constraints on network formation) and understanding the link between the structure and function of complex systems (i.e. understanding various dynamics, as e.g. synchronization, on networks). In September 2011 I joined the University of Southampton as Senior Lecturer. Wang, T., Brede, M., Ianni, A., & Mentzakis, E. (Accepted/In press). Characterizing dynamic communication in online eating disorder communities: A multiplex network approach. Applied Network Science. Brede, M., Restocchi, V., & Stein, S. (Accepted/In press). Effects of time horizons on Influence maximization in the voter dynamics. Journal of Complex Networks. Stella, M., & Brede, M. (Accepted/In press). A k-deformed model of growing complex networks with fitness. Physica A: Statistical Mechanics and its Applications, 1-13. Brede, M. (Accepted/In press). Costly advertising and the evolution of cooperation. PLoS ONE. Brede, M. (2013). Short versus long term benefits and the evolution of cooperation in the prisoner's dilemma game. PLoS ONE, 8(2). Brede, M. (2012). Book review: Networks-An Introduction by Mark E. J. Newman. Artificial Life, 18(2), 241-242. Brede, M. (2012). Preferential opponent selection in public goods games. Advances in Complex Systems, 15(7). Boschetti, F., & Brede, M. (2009). Competitive scenarios, community responses and organisational implications. Emergence: Complexity and Organization, 11(4), 39-47. Gunasekara, D., Ford, M., Heyhoe, E., Ahammad, H., Phipps, S., Harman, I., ... Brede, M. (2008). Global Integrated Assessment Model: A New Analytical Tool for Assessing Climate Change Risks and Policies. Australian Commodities, 15(1), 195-216. Brede, M., & Newth, D. (2008). Patterns in syntactic dependency networks from authored and randomised texts. Complexity International, 12(msid23). Newth, D., & Brede, M. (2006). Fitness landscape analysis and optimization of coupled oscillators. Complex Systems, 16(4), 317-331. Finnigan, J., Brede, M., & Grigg, N. (2013). Quantitative modelling of the human–Earth System a new kind of science? In Negotiating our future: Living scenarios for Australia to 2050 Vol II (pp. 119-146). Australian Academy of Science. Behn, U., Brede, M., & Richter, J. (2004). Nonlinear dynamics and statistical physics of models for the immune system. In A. Deutch, J. Howard, M. Falcke, & W. Zimmermann (Eds. ), Function and Regulation of Cellular Systems (pp. 399-410). Basel, CH: Birkhäuser. Brede, M., & Kalloniatis, A. (2017). Controlling synchronisation through adaptive phase lags. In Proceedings of the 8th International Conference on Physics and Control (PhysCon 2017) IPME RAS. Tudge, S., Brede, M., & Watson, R. (2015). The evolution of assortment with multiple simultaneous games. Paper presented at The European Conference on Artificial Life 2015, United Kingdom. Brede, M., & Tudge, S. (2013). Replication strategies and the evolution of cooperation by exploitation. 300-307. Paper presented at ECAL 2013, Italy. Brede, M., & Noble, J. (2013). The coevolution of costly heterogeneities and cooperation in the prisoner's dilemma game. 159-166. Paper presented at ECAL 2013, Italy. Moran, T., Brede, M., Ianni, A., & Noble, J. (2013). The origin of money: an agent-based model. Paper presented at ECAL 2013, Italy. Brede, M. (2010). Optimizing spatially embedded networks for synchronization. 295-302. Paper presented at Artificial Life XII: Twelfth International Conference on the Synthesis and Simulation of Living Systems, Denmark. Brede, M. (2007). The prisoner's dilemma with image scoring on networks: How does a player's strategy depend on its place in the social network?. 222-231. Paper presented at 3rd Australian Conference on Artificial Life, Australia. Newth, D., & Brede, M. (2005). Optimizing coupled oscillators for stability. 1327-1330. Paper presented at 18th Australian Joint Conference on Artificial Intelligence, Australia.